Got Brakes? As part of the Strange Engineering Rear Floater Project we also upgraded the front brakes. I was running a Factory Brembo 14in four piston caliper on the front and stock calipers on the back. 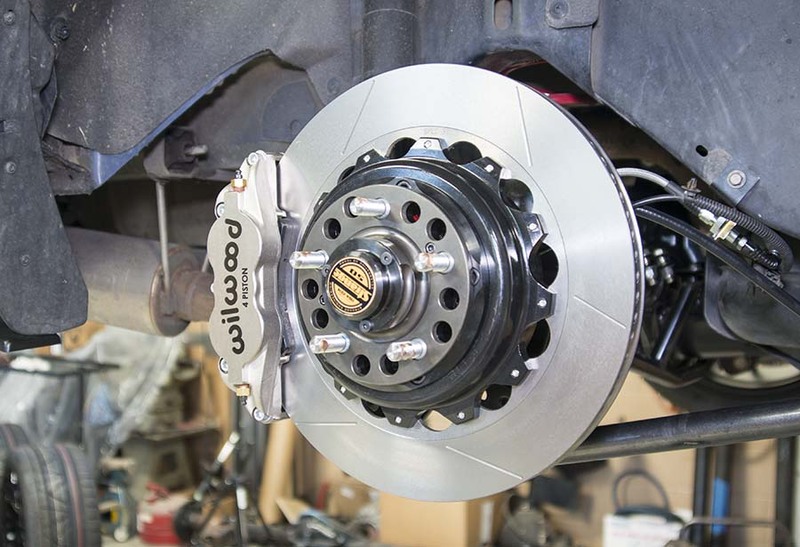 Wilwood has over 30 years of experience in designing disc brakes. 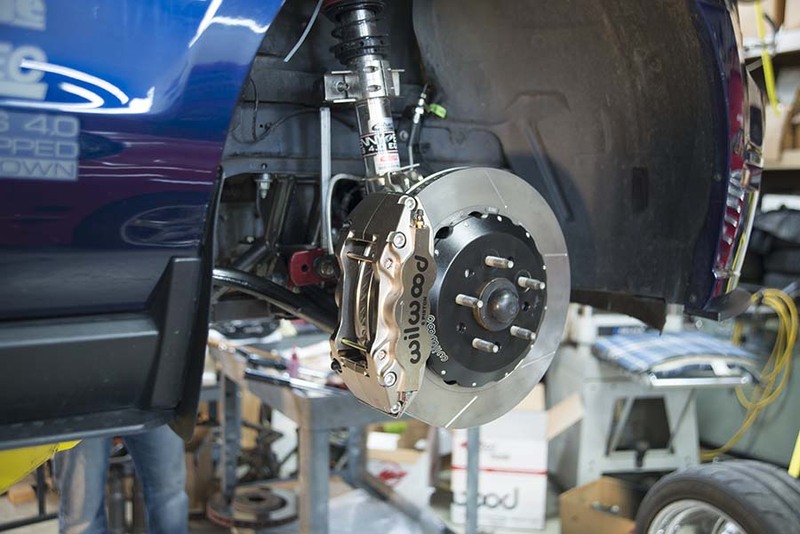 From NASCAR to sprint cars they have tons of experience to develop their street/Track braking systems.Wilwood sent a set of their calipers in their new Nickle color to complete this project. Personally I like them a lot. I am a bit tired of the bright red colored calipers that are on most sports cars, and a black colored caliper would just disappear inside of a black wheel. These are works of art and need to be seen!The Wilwood Calipers have a forged body and the radial mounting allows a lot of adjustability and a very stable mounting platform because your piston is not fighting the spindle bolts. 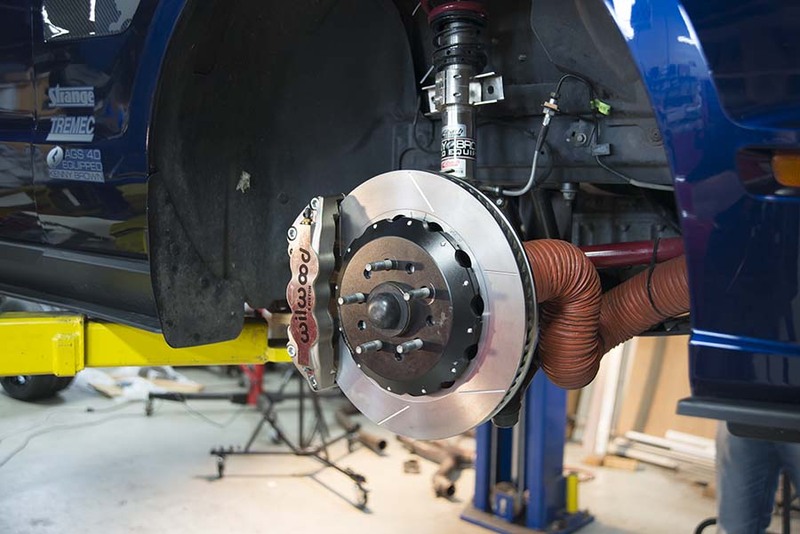 The stainless steel pistons in the caliper resist fade and extend service life by reducing the heat transfer from the pads.The Brake Rotors are directional and they bolt on to a lightweight hat. 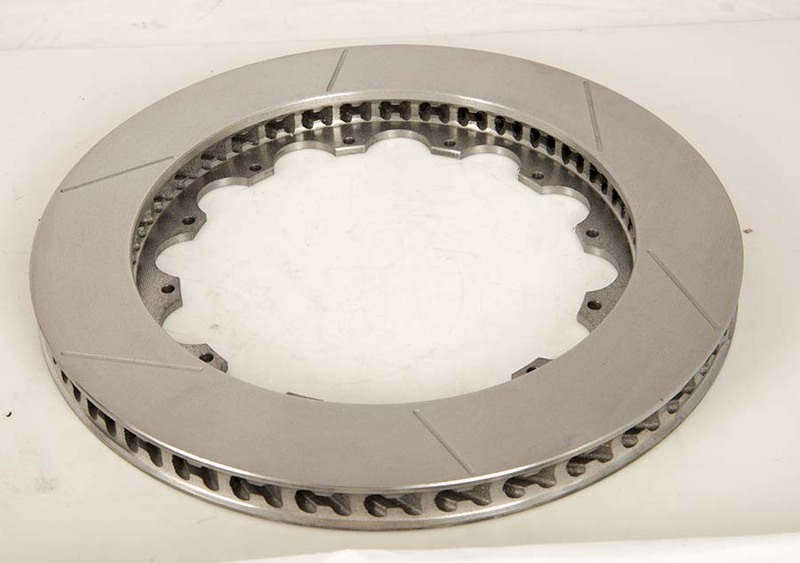 The Spec 37 Competitive Rotors are made from a proprietary iron alloy developed to withstand extreme temperatures with the highest possible degree of resistance against distortion, warping, cracking and wear. In the future you just need to replace the rotor face and reuse the hat as long as its in good condition. The kit came with a new set of stainless steel lines. 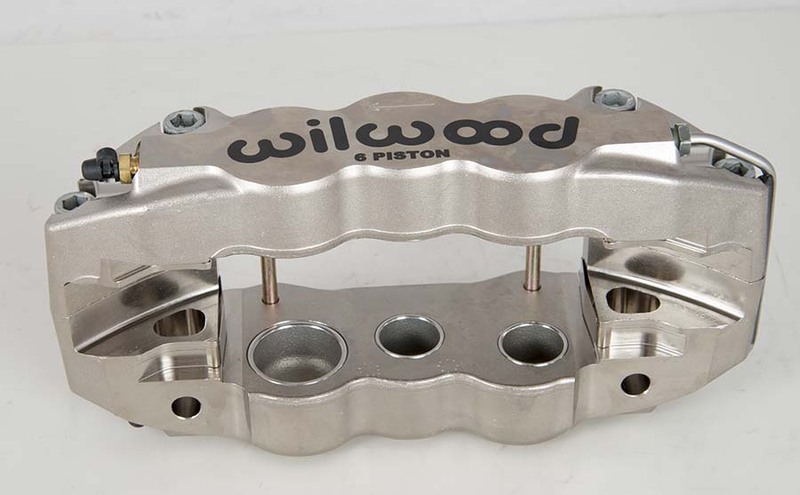 The factory system has a banjo bolt on the end and the Wilwood uses and AN type end. Not bad for the huge performance gain. 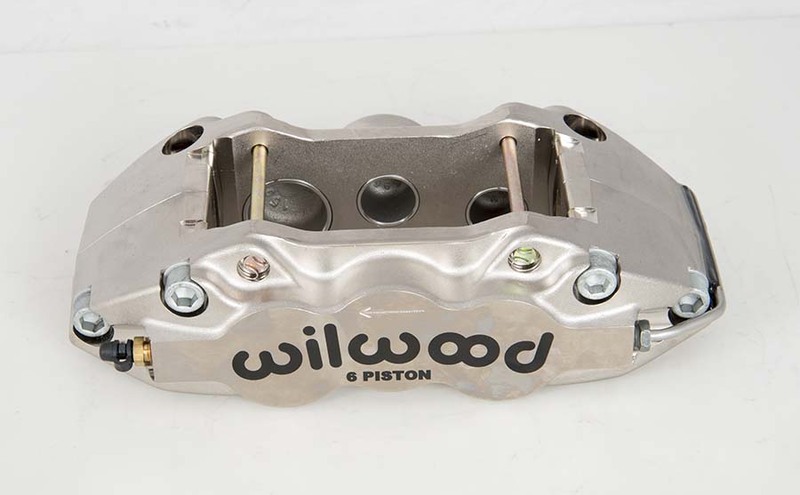 The Massive W6A 6 Piston Wilwood Brake Caliper. 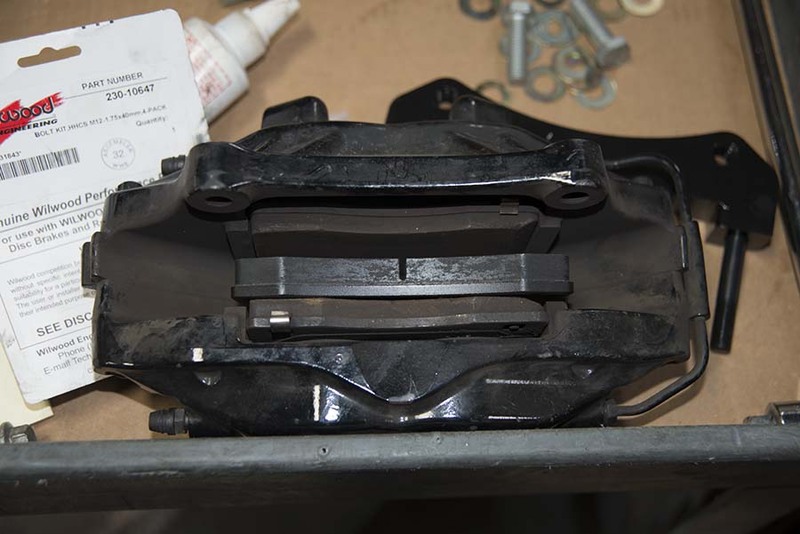 Here is the pad comparison to the Brembos.The Wilwood caliper has a larger surface area and thickness brake pad. 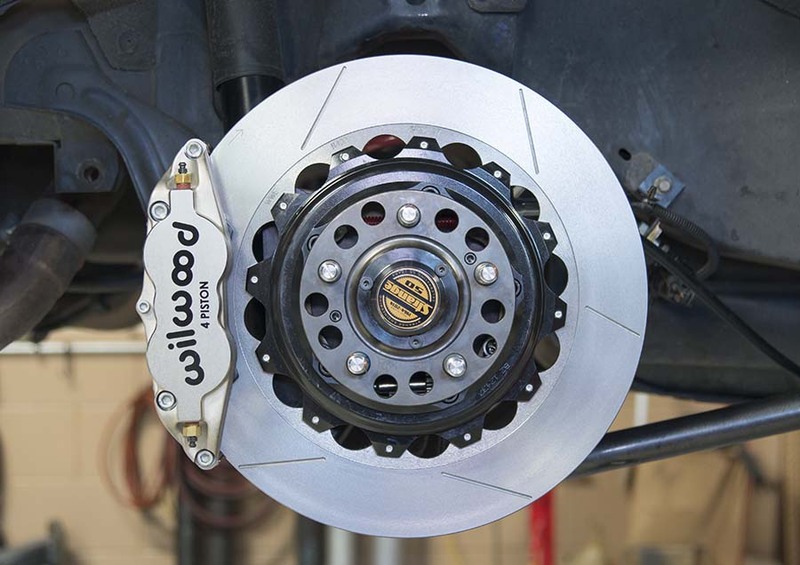 The Wilwood caliper despite its slightly larger size is lighter than the Brembo caliper. 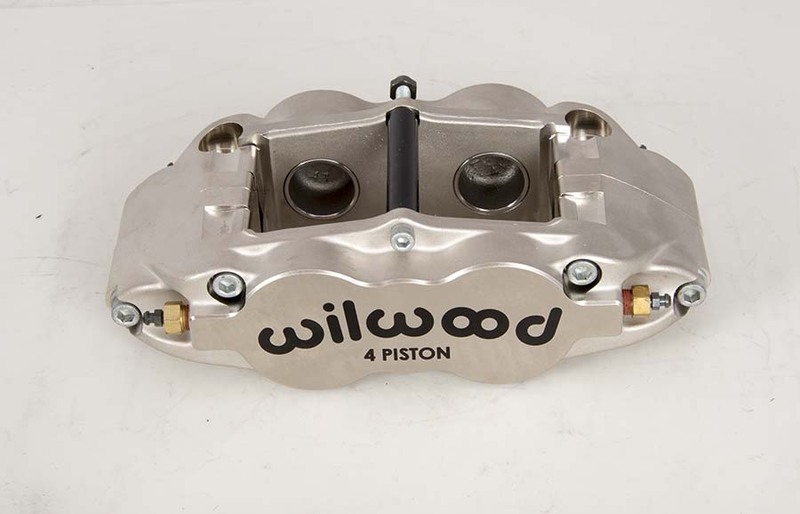 The Wilwood pad is 11sq inches.The rear pads are a whopping 30% larger over the factory single piston caliper. The weight savings is also quite dramatic. Here is the rear 4 piston caliper. Here is a Spec 37 Competitive Rotor. 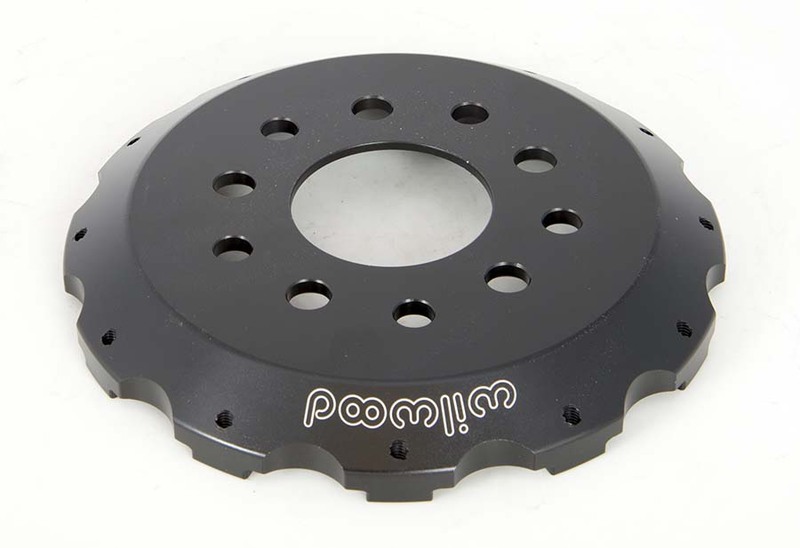 They are 14″ slotted rotor that is used all the way around. Note the slots are all at different angles. Here are the directional cooling veins. This is the lightweight aluminum rotor hat. Much of the weight savings comes from this part. 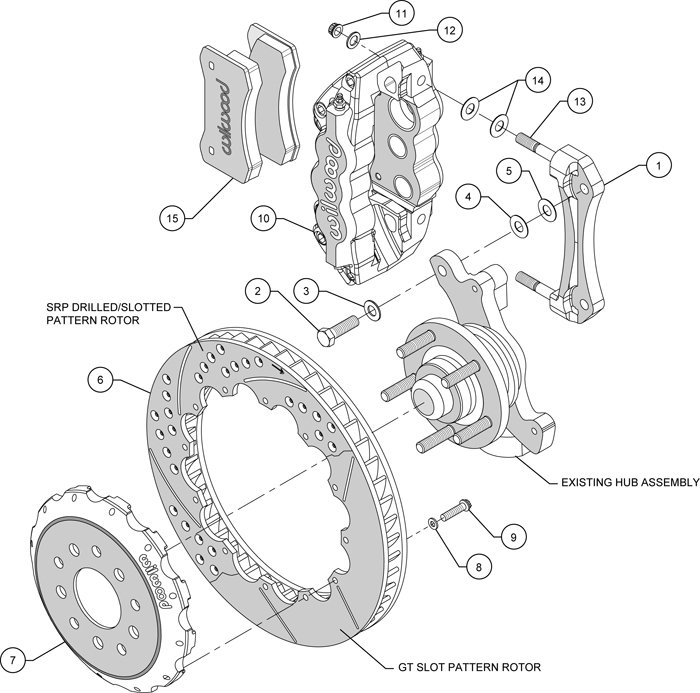 Here is the take apart for the front brake system. 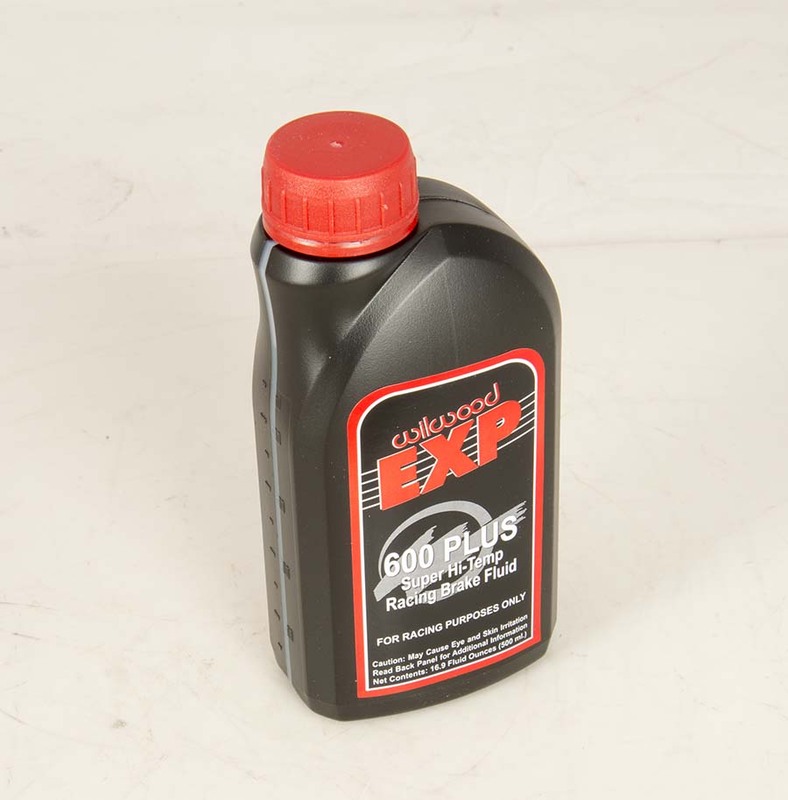 Wilwood also has their own 600 deg (dry) racing brake fluid. 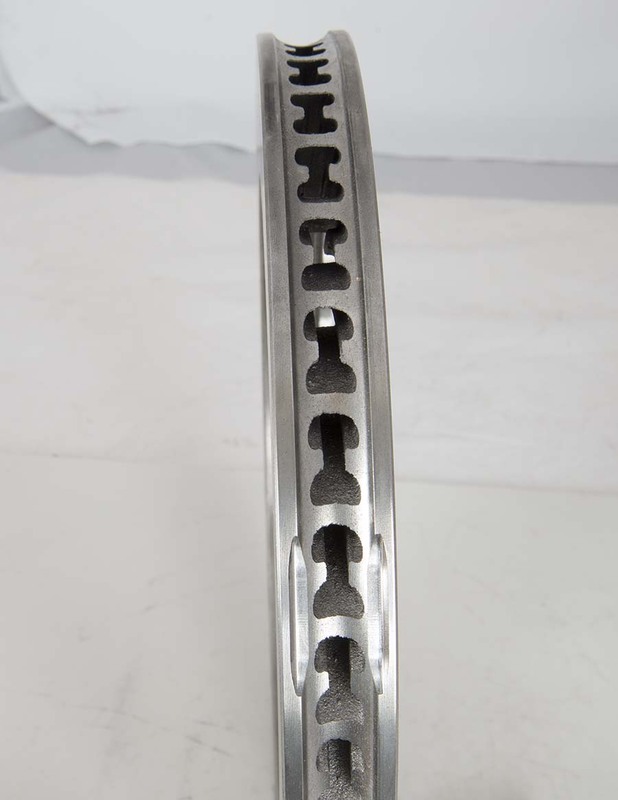 Here you can see the radial mounting bracket. This is a shot of the rear before the caliper goes on. Here is the front on the car. The brakes are a work of art really. Another shot of the front caliper. Here you can see the Brake Cooling duct work. 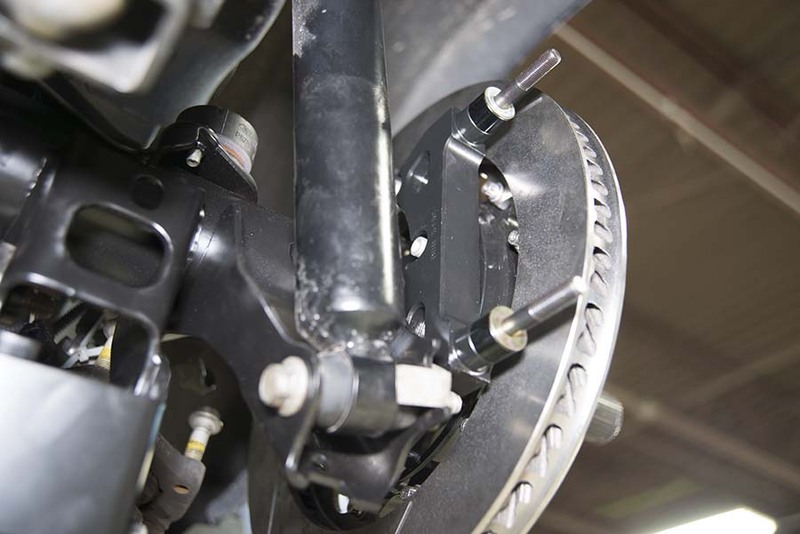 Here is the rear brake setup paired with the Strange floater kit. The kit does include a parking brake. 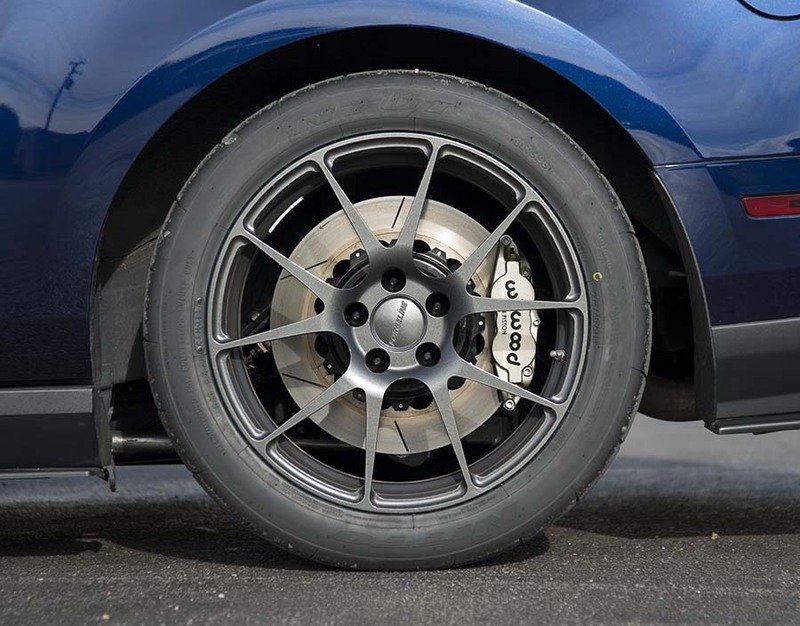 Here is the rear 14″ Rotor 4 piston Wilwood caliper with the Forgeline wheels and Nitto NT01 Tires. 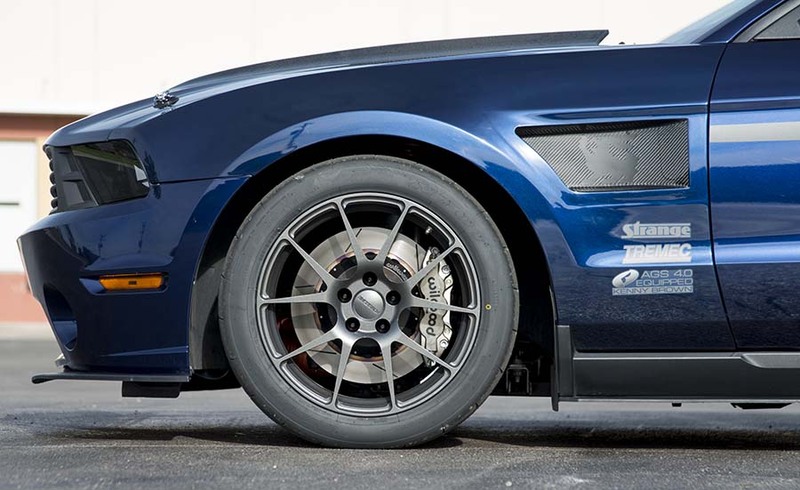 Here is the front 14″ Rotor 6 piston Wilwood caliper with the Forgeline wheels and Nitto NT01 Tires. The car not only stops as well as it possibly can without a master cylinder upgrade but it also looks like it means business. I love this system and put it to good use on the track at Road America.